Well, I start the journey to my unrestricted bike licence next week, and inevitably I'm trying to pin down the bikes that I'll end up testing with a view to buying. I suppose this thread is just a chance to look at the options, which aren't as huge as they could have been considering I want a naked bike; it needs to be as light and agile as possible, as I'm on the small side of average; and I've pretty much settled on 650-700cc. 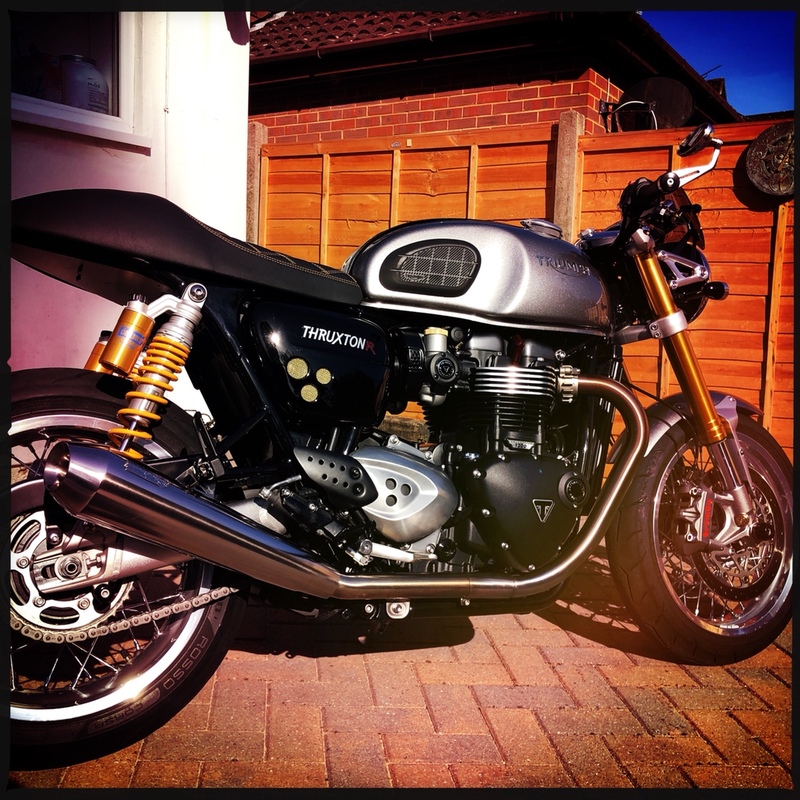 There are two bikes at present that meet these requirements and also make me drool in terms of looks, and I just wondered if there were any real life experiences that could be shared, or whether there are other obvious contenders that I should be thinking about. First up is the Yamaha MT-07 - not one that needs much inroduction, and Europes biggest selling naked bike by some margin (apparently Yamaha sell around 17,000 units pa, which is remarkable). 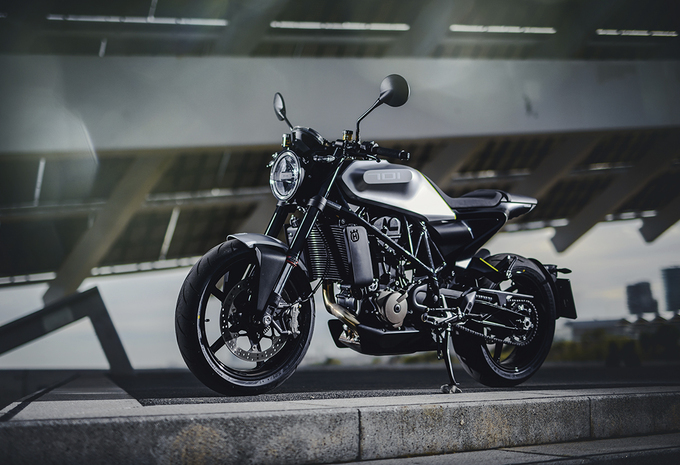 The other bike that's making me drool - and only just discovered thanks to a pointer from our Howard - is the Husqvarna Vitpilen 701. A manufacturer better known for motocross, but with a pedigree going back to 1903, this one is slightly more of a cafe racer style. Both of these bikes are 690cc, and both have similar handling characteristics according to the reviews - and are also easy to ride from a novice's point of view. Any thoughts or experiences to share? Please bear the requirements I mentioned in mind - I don't want a sports bike, and I don't want anything bigger in terms of engine size. MT07 and MY09 both awesome. That's almost double the power that I'm after, Kerry. Lovely bikes, though. If naked is the option, you could also consider the Triumph Street Triple. I had one a few years back, a really nice bike tbh. Did everything well, fast (enough), handled well, stopped very well and good on fuel and to insure, light and very manouverable. There are a load of ad-ons for these as well to make them look a bit different if that's your thing. I had the 675R version and the engine was sweet, sort of the torque of a v-twin, but the top end rush of a straight 4. Very easy to ride slow as well or in traffic. I know that may sound daft, riding a bike slow, but that's one of the reasons I recently got rid of my Diavel and bought a BMW S1000RR. The Ducati was gorgeous once moving above 40 or 50, but lumpy as hell in slow traffic, almost unbearable, and made riding it miserable. I've read a review of the Vitpilen on MCN ... they complained about how hard the seat was ... I'm sure you've read this already ... and usually remedied easily enough with a comfort seat. So don't let this be a show stopper. But all the power is in your wrist (Not speaking from experience!). I'd definitely test ride a Triumph Street Triple Tony, it's an amazing bike and would fit the criteria you are looking for. The Vitpilen is a stunner. A real head turner. But I still say a 650 V-Strom is the best bike money can buy. Out of those 2 the Yamaha everyday. I often wish I was a short arse because a bike I would really like to try is the Street Triple. My advice is get test rides,I’ve test ridden bikes I’ve desired for years and a mile up the road hated everything about them,sometimes it goes the other way. Also it’s not the power it’s the way it’s delivered which you can assess on a test ride. You know what, I'm struggling to find a reason I sold that red rascal. It just did everything very well. That had some nice tasty bits added as well. Another vote for the Street Triple R - get the second generation bike if you can. I've owned first and second gen and they're both great bikes but the second gen is just that bit better in my opinion. It's also a bike that's easy enough to ride if you've just passed your test and a bike you can grow into once your confidence and abilities have grown, it's a very capable bike with great handling and enough power for most. MT-07 is a good bike too, especially with the akrapovic can fitted. I guess your choice should also take into account how you see the bike being used. I wouldn’t restrict myself to lower powered bikes because you feel it will be all you could handle. If you get the bug, you will soon outgrow what the bike will give you and end up chopping it, losing money and buying the bike you maybe should have bought in the first place. I wouldn’t necessarily say this to an 18 year old but I think you’re older and wiser to go out and enjoy yourself without being silly. The throttle goes both ways, being smooth and controlled is the key. The street Triple does look lovely, and is clearly very well respected. I'll add it to the list of potential test rides - thanks chaps. Points noted regarding the characteristics of a single cylinder engine at slow speeds, too. Good to know. Thanks, Kerry. I’m in Hertfordshire, between Barnet and St Albans. My friend who has had literally hundreds of bikes really rates the MT09 and feels they would sell loads if it wasn't so ugly. If you decide to buy one let me know as he is working with some dealers to improve the looks. I've ridden a KTM supermoto with the same LC4 engine as the Husky and I was pleasantly surprised - none of the lumpiness at low revs or vibes at higher revs that you'd expect with a big single. It's certainly worth a test ride if you like the looks. Have you considered a KTM Duke 790? The looks are a bit challenging but the reports are that it's a hoot to ride and a genuine contender for the Street Triples best current naked middle weight crown. Mentioned above have good comments. I had a KTM 625SMC Supermoto. No where near as smooth as a triple or four cylinder, and really only suitable for shorter blasts due to the narrow seat. Deffo a contender for the fun hooligan factor though, loved mine for what it was, a wheelie machine !! Best thing to do is take an extended test ride if poss on your shortlist, a weekend if you can swing it. A short hop down a local road wont really tell you much, you deffo need a few hours in the saddle to work out whether you will like the bike or not. Last edited by cinnabull; 8th August 2018 at 13:29. I've been looking at the Street Triple and Duke specs, actually, and noticed that the weight and dimensions still seem to favour the original two that I mentioned (and a slim seat is better for me as it'll mean slightly less stretch when stationary). Anyway, I do like the look of the Triumph so may pursue that one as well... haven't had time to work out what the differences are between the S and the R yet, though. MT-07 seems to be the default bike of the past few seasons, I bought a Speed Triple R right out of DAS and found it just a tad frantic for my mid-40s desires. Maybe check out the XSR700 which is a more retro styled MT-07 iirc. The R is the spot. Any idea where the R LRH version differs, as the specs on the website are identical? Last edited by learningtofly; 8th August 2018 at 16:02. I think the difference is in the actual ride height. How this is achieved i dont know, but assume the LRH (low ride height) is for the more vertically challenged amongst us. Speak to a Triumph dealer tho, i’m sure they will have all the info. Yes, my assumption too, so I was surprised that the specs are identical. I’ll see what I can unearth when I have a bit more time. Size wise you can't go wrong with an R9 of some description. As Kerry said it's only going to go as fast as you ride it and you strike me as being reasonably level headed, better to end up with something that's going to fulfil all your riding needs for a few years as opposed to something that gets to feel too small too quickly. In your position the pure would be my choice. Be great to get out and ride Tony, some choice cafes all motorbike local to us. Also shameless as it may be theres the DGR you can join me on!!! Please go to https://www.gentlemansride.com/fundr...orneOfAirborne to donate. Tony - can you please make sure you buy from a dealer who assembles the bike for you. I recollect (with some hysterics) the picture you posted a few years ago of your new bicycle that you had set up in a rather unconventional manner ! 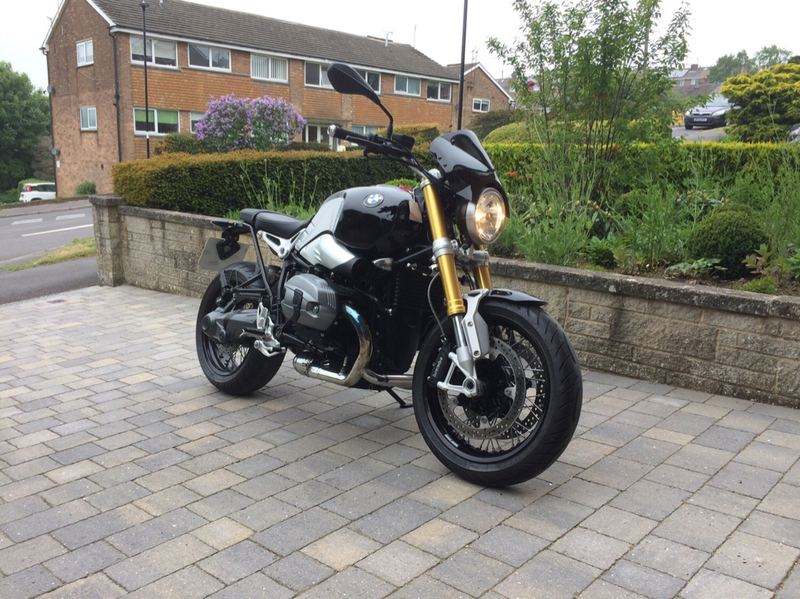 I had a test ride for an hour on a BMW R Nine T a few weeks ago, it's far quicker than it looks and a great all rounder, love the torque of that twin as well and the handling is really sweet with the low centre of gravity, I'd get a go on one of these as well Tony you might be surprised. My advice is just ride plenty of bikes, you'll know when you find the right one. better to end up with something that's going to fulfil all your riding needs for a few years as opposed to something that gets to feel too small too quickly. While I can see the logic in that, it wouldn't necessarily bother me to buy a smaller bike and run it for a while. One, you can build confidence on something manageable without having to deal with the weight and power a larger bike. Two, small bikes are massive fun in their own right because it's often more fun to ride a slow bike fast than it is to ride a fast bike slow and bigger/faster does not automatically equal more fun anyway; and three, by the time you've got used to and bored with a smaller bike you have a much better idea of what you want out of the next one, plus if you buy second hand you can sell it after a year or so without losing a great deal of money. YMMV. The BMW RNT is a beautifully designed and made bike in all it’s various Heritage iterations. Tony, you are on a very slippery slope, akin to watches. Last year I returned to motorcycling, after a lengthy break, with a Scrambler X. I thought that was enough until two months later I bought an S1000RR, and two months after that a K1600BLE (my personal favourite by a country mile) - all three are now in my barn. Just be careful out there - in both the buying and the riding. That's exactly how I'm thinking, to be honest. Also, I can't imagine for a moment that I'd ever want more that 700cc of engine. Bear in mind that I was assuming, when I made the decision to get into biking (although I did ride as a teen, to be fair), that I'd end up with something like a CB300R! The MT07 is awesome, and a lot of fun. More fun (but a lot slower) than the MT09 imho. I wouldn't discount the Ducati Scrambler. They were really cheap for a Ducati new, and some are a good buy now. The Husky Vitpilen was very uncomfortable for me. Personally I'd like something quicker, but then I ride on unrestricted roads around the iom tt course quite a lot. In most other situations anything around 300cc plus is going to be as quick as a fairly expensive/sporty car fur acceleration. For me the obvious choices are the MT or the Ducati Scrambler. The MT07 was just a crazy bargain new, around the same price as the CB500 new. Plus, it's very light compared to most other bikes in the class. That's weird, Scott - I was just looking at the Classic, which does appeal to me a lot. it already been mentioned multiple times (for a reason :) ) , the street triple is the best in its class at that cc (both riding and finish ) the MT range of bikes have great engines but a cheap finish and usually a shite suspension set up - they also have the resale value of a half eaten packet of crisps , the triumphs hold there resale value very well. The Triumph is at a different price/performance point. The MT suspension is lacking compared to a sports bike, but perfectly adequate for day to day use. If I was hammering one I'd have the suspension seen to, but I'd more than likely pick a different bike. If any of you have a ride out around the Sw, Bristol, Wiltshire etc, give me a shout and I’ll pop over on my trusty steed. Last edited by Frankie169; 8th August 2018 at 19:51.
the mt is a decent bike, however the triumph does everything better from the off (better suspension, better brakes and handling) - i guess it depends if you want a bike thats good from the off or one you want to modify yourself - as you say the mt is good enough for everyday use . ive ridden the MT07 and 09 - the finish was worse than the triumph by a long way (as you say thou the prices is different as well and it should be) - the 07 didnt look bad but was a pretty boring ride , the 09 had a great engine but it showed where they had spent the money as the finish was not up to much and the suspension was terrible - its no good having a great engine if you cant put it down on the road. I posted a similar thread a few months ago and was pointed in the direction of both the Ducati Scrambler and the BMW R9T. Went to a local dealer who had both and instantly dismissed the Scrambler. The BMW build quality is in a different league. I’d recommend taking a look at any of the iterations as Skyman suggests (probably with the exception of the racer). More than happy with mine. I’m very partial to BMW twins, as we have at least 9 in the family at the minute, but they are at a completely different entry point. Nothing wrong with that, but depends what you are considering. Don’t dismiss Guzzis, but consider older ones with classic throttle. Having said that, modern bikes are great. 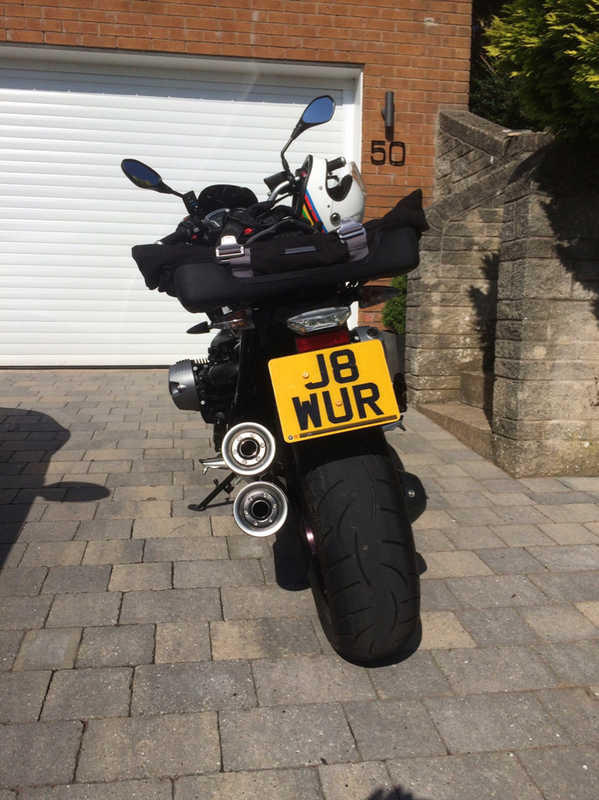 I had a BMW F750 as a loan bike when my R1200R Sport was in for service last week and took it for a long ride through the Black Mountains and mid Wales. I expected to by underwhelmed, and after a couple of hundred yards I hated it. Hateful thing. Considered leaving it at home and taking the MX-5 instead. However, having decided to persevere, over the the next few miles it won me over and I have to admit that it was actually rather good and I'd be more than happy to own one. It would be difficult to argue that it wouldn't do everything I wanted from a bike. Fun, comfortable, competent, easy to handle. It wasn't fast, but it was fast enough.